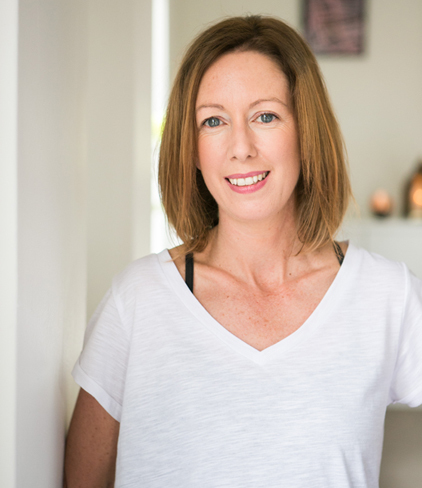 Tanya Neate, Bliss Baby Yoga Fertility Yoga Specialist, shares her tips on training to be a heart-felt expert able to confidently support women in this specialised and growing field of yoga teaching. Tanya Neate has spent the past eight years passionately pursuing knowledge of how to employ the power of yoga to support the fertility health of women. Her journey began as a personal quest to find a way to overcome her own fertility challenges. A graduate of multiple Bliss Baby Yoga Teacher Trainings, Tanya runs weekly fertility yoga, prenatal and women’s health yoga classes from her Melbourne-based studio Moon Tribe Yoga . Tanya is also a facilitator on our Bliss Baby Level 1 Fertility Yoga Teacher Training. Trainees in this course have the wonderful opportunity to field their questions about yoga for fertility, taking advantage of her impressive experience and knowledge in this specialised, niche area of yoga for women. We talked to Tanya to find out what ingredients she believes are required to become a well-trained and successful Fertility Yoga Teacher. What is the demand for well-trained Fertility Yoga teachers? Tanya: I am incredibly passionate about fertility yoga and the benefits it offers for the women attending my classes. For me it is an honour to be able to support a woman through this really difficult time in her life. However, there are still very few fertility yoga teachers and classes available in even some of the biggest cities in Australia. I would love to see fertility yoga classes to be as accessible as prenatal yoga now is. There are just so many women dealing with fertility issues and yoga has so much to offer them on their journey. I have women traveling from all over Melbourne just to attend my classes, which at times can be counter-productive to their energy and stress levels. I see a teacher training course like the Bliss Baby Yoga Online Fertility Course as a window of opportunity for existing yoga teachers, with an interest in women’s health and fertility, to break into an incredibly important and emerging field of yoga. It is an opportunity to provide women, who are on a fertility journey, with some really powerful tools to support them through it. To be a successful Fertility Yoga teacher do you need to have had your own fertility experience? Tanya: Whilst my personal experience has certainly influenced my career path and the way I teach today, I do believe that it is not the only requirement for becoming a Fertility Yoga teacher. The women who attend my classes come with a sound knowledge-bank of all things fertility. So as a teacher, if you can display an equal level of knowledge about the treatments, medications and terminology, plus if you can show that you deeply care, you don’t need to have had a fertility journey, or even had a baby. What are the important elements that need to be covered in a good Fertility Yoga Teacher Training course? Tanya: A well-rounded fertility yoga teacher training needs to provide yoga teachers with a very good understanding of the reproductive system, fertility health and lifestyle issues to consider when trying to conceive, and an understanding of the current fertility treatments and their side effects. You also need to learn how important a more feminine yoga practice is for all phases of a woman’s cycle. This was something I discovered on my own fertility yoga journey and I quickly learnt that the strong physical practice I had been doing was no longer serving my fertility health. The Bliss Baby Yoga Level 1 (and level 2, that’s in the pipeline) covers these important aspects. It teaches what asana and pranayama to add into a fertility yoga practice, and I love that this course also focuses on what should be avoided and why. This is so important! The Bliss Baby Yoga course also helps you to gain an understanding of the psychological and emotional state of a woman experiencing fertility issues. The beautiful meditations, chanting and restorative poses explored throughout the course are incredibly powerful. They will become transformative tools that you can pass onto your fertility yoga students. What would you say to a yoga teacher considering undertaking Fertility Yoga teacher training? Tanya: Teaching fertility yoga is incredibly rewarding, however, you have to be really passionate about this topic to make it work for yourself. By that I mean you need to be prepared to research above and beyond yoga to gain an holistic understanding of the woman’s fertility journey. It is really important to be able to converse with your clients in a knowledgeable way. Therefore, ongoing learning is the key to being successful in this field. There are always new experiments, treatments and techniques on offer in the world of fertility and you have to be able to keep up with them for the benefit of your students. 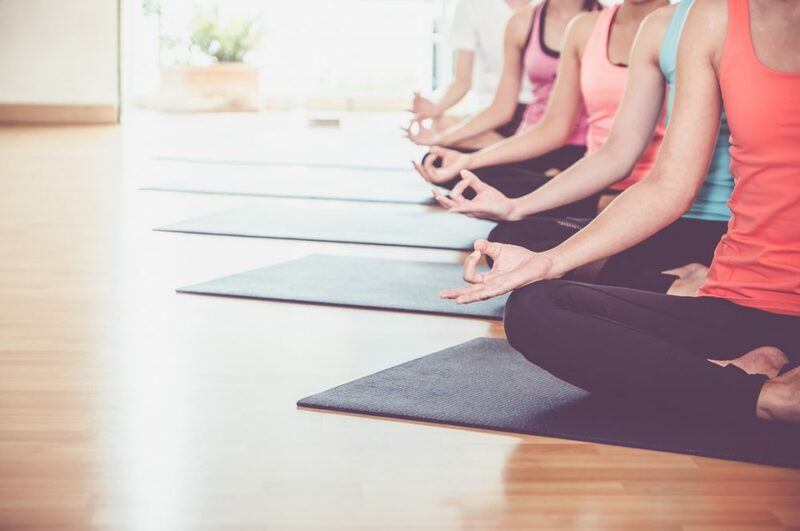 As a fertility yoga teacher you will get to witness and support the women through a whole range of emotions as they work through their challenges. Sitting with this in the beginning can be challenging but in my experience there are more happy endings than not. I am currently undertaking studies in counseling to help me better support my students emotionally without entangling my own emotions into their journey. This is something you might like to consider as you undertake your fertility yoga studies. Continuity of care will also help your connection with your students so being trained in prenatal and mums and bubs yoga would be really beneficial to your business. 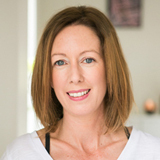 Tanya Neate is a course facilitator for our Bliss Baby Yoga Online L1 Yoga for Fertility Teacher Training course, and has her own studio, Moon Tribe Yoga, in Melbourne, offering prenatal, postnatal and fertility yoga classes. Tanya is currently developing a special Bliss Baby Yoga professional development online Extension Module all about understanding A.R.T (Assisted Reproductive Technology) – designed to help Fertility Yoga Teachers understand more clearly the journey that some of their students go on to fall pregnant. Stay tuned! Tanya Neate's journey in fertility yoga began as a personal quest to find a way to overcome her own fertility challenges. What she discovered was so empowering and transformative, she wondered why fertility yoga classes were nowhere to be found! It was this experience that inspired her dream to become a yoga teacher and share these practices with other women dealing with infertility. Tanya’s mission is to make fertility yoga classes as accessible as prenatal yoga now is. Tanya is a Facilitator for the Bliss Baby Yoga for Fertility Course. She also runs weekly fertility yoga, prenatal and women’s health yoga classes from her Melbourne-based studio Moon Tribe Yoga. Nice Post, Thanks for sharing informative information.